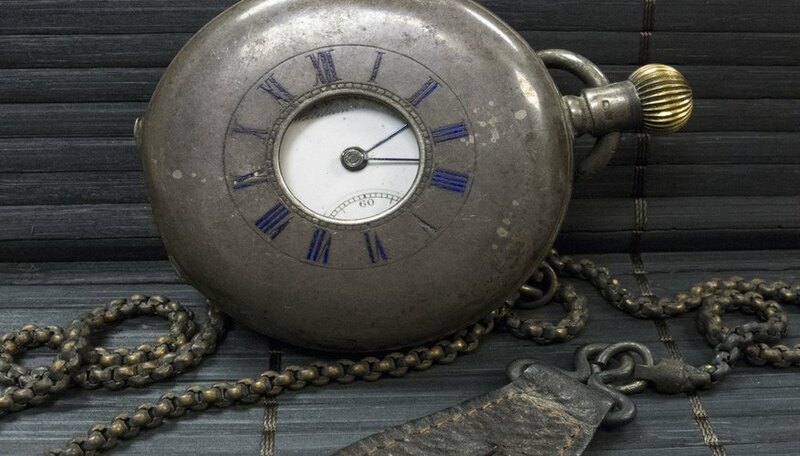 Identifying a vintage pocket watch, with few exceptions, is easy and requires few or no tools. Vintage pocket watches from the late 19th century through the 1950s are well marked with the watchmaker’s logo embossed on the dial and engraved on the movement. Often the watchmaker’s name will also be engraved on the inside of the case back. However, some Swiss watchmakers imported unassembled watches with no markings to the U.S. to be assembled and sold by independent sellers or department stores. These watches are difficult, if not impossible, to identify. 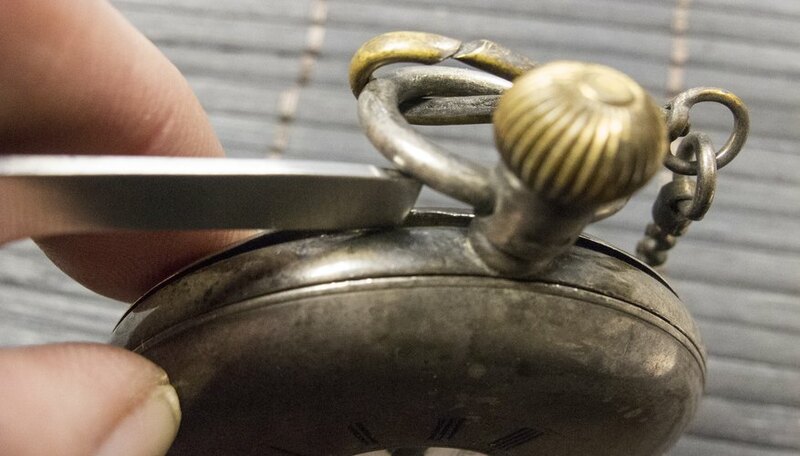 Examine the top portion of the dial of the vintage pocket watch. Most vintage pocket watches have the manufacturer’s logo embossed on the dial. Watchmakers Hamilton, Elgin, Waltham, Illinois, International Watch Co. and most others have distinctive logos or trademarks. Examine the dial below the hands post with the loupe. It may have “17 Jewels” or a different number of jewels embossed. A good quality vintage pocket watch will have a minimum of 15 jewels. Jewels are lubricated friction points where the spring-loaded mechanism and its gears, called a movement, move to operate the watch. Insert the case blade under the lip of a snap-back vintage pocket watch and pry it open. Use the palm of your hand or a watchmaker’s sticky ball to rotate a screw-down case back counterclockwise to remove it from the case, according to Thewatchguy.homestead.com. Use the loupe to examine the movement. 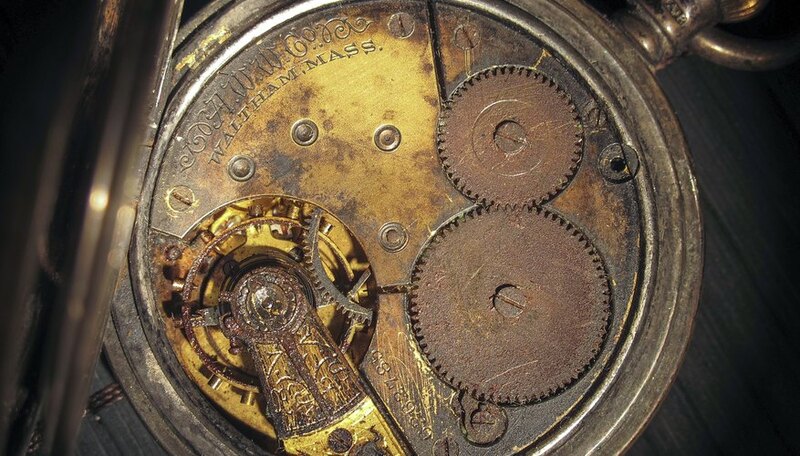 The watchmaker’s name should appear on the bridge, a flat sheet of metal over the movement. Below or near the name is a serial number usually five to nine digits long. Record the number. A smaller number, ranging from two to four digits, may also be engraved. 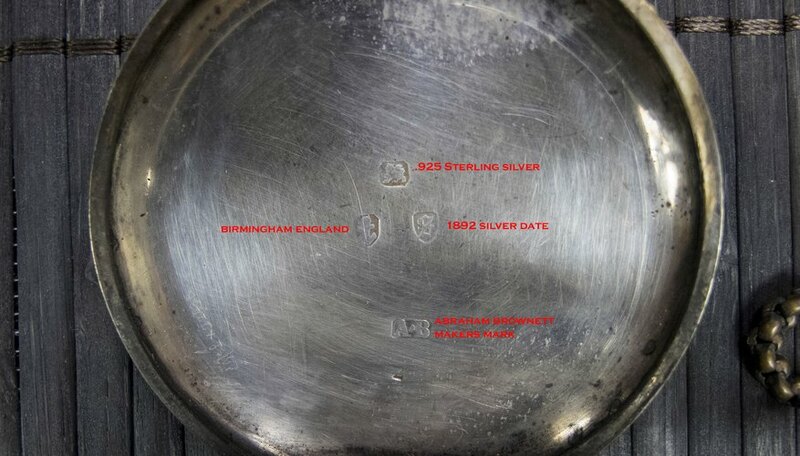 The serial number will help identify the year of manufacture. The smaller number is the caliber, or size, of the movement. Examine the inside of the case back. It should identify the type of metal used for the case and case back, such as “18k” for gold or “999” for silver. The watchmaker’s name or the name of an independent case maker, may be engraved. Compare the manufacturer’s name, serial number and movement caliber with published lists from the manufacturer. 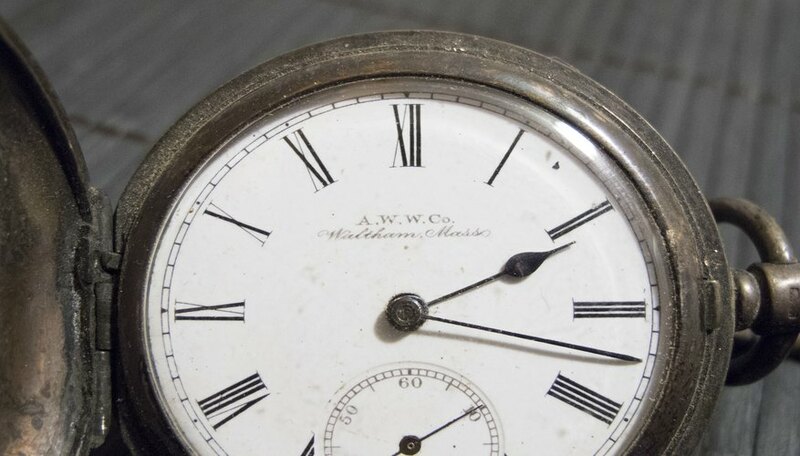 For example, a Waltham pocket watch with serial numbers between 29,100,000 and 29,399,000 was manufactured in 1936. The caliber of movement could be used over several years or even decades. Many watch repairpersons keep pocket watch data to order parts. Lists from many pocket watch manufacturers, even those no longer existing, are published online. Not all pocket watch manufacturers are consistent in developing a coherent serial numbering system or keeping records. Gruen, for example, destroyed many of its records in 1957-58. It’s virtually impossible to identify the year of manufacture on a Gruen pocket watch. Do not force a case back open if it’s stubborn. You may damage it. Have a professional watch repairperson perform the task.